Short on space and long on must-share stories, the New England Aquarium sought a creative solution for sharing information about their most threatened and endangered species. Thus were born the Vanishing Species labels—25 small labels that would fit into the preexisting species ID spaces at the Aquarium’s live animal exhibits. 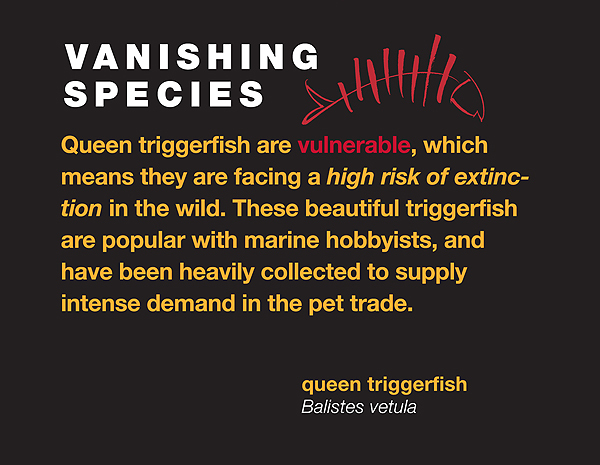 Each label identified the species’ IUCN-specified threat level, and included a brief statement explaining why that species was at risk. My responsibilities included identifying the species to highlight, research, story development, writing, and editing. 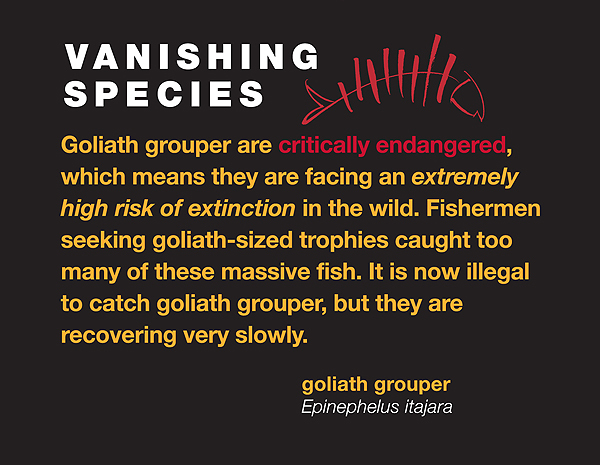 Because the Vanishing Species exhibit labels were limited to a small size (approximately 4×6 inches), the design must be uncluttered, and the copy must include no unnecessary words or messages. Multiple rounds of revision produced the final result: 25 exhibit labels that captured the essential threat to each highlighted species in approximately 50 words (or less). 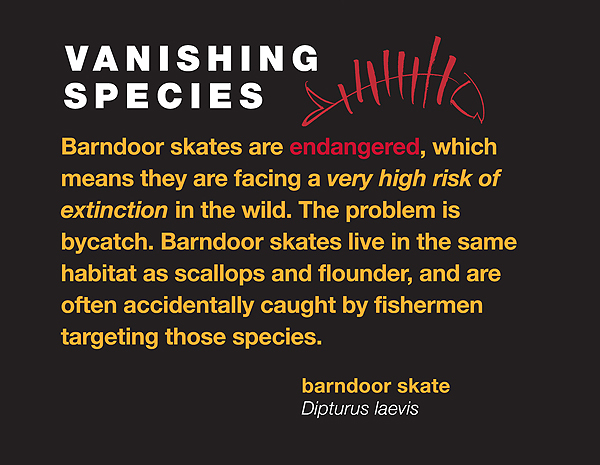 The Vanishing Species exhibit labels were designed as a low-cost and easy-to-update solution for incorporating conservation messages where needed. New labels could easily be produced if a new species were added to an exhibit, or if the conservation status for a previously-exhibited species was changed.